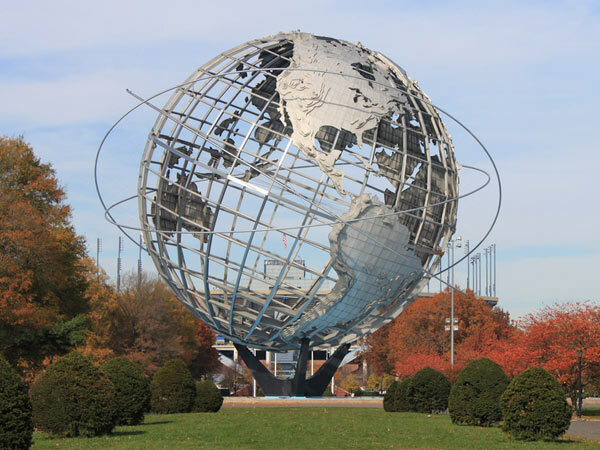 Encompassing 1,255 acres, Queens’ largest park is best known as the site of two 20th century World's Fairs. Before the fairs, the Flushing Meadows marshland south of Flushing Bay was immortalized in F. Scott Fitzgerald’s The Great Gatsby as the Corona Ash Dumps. 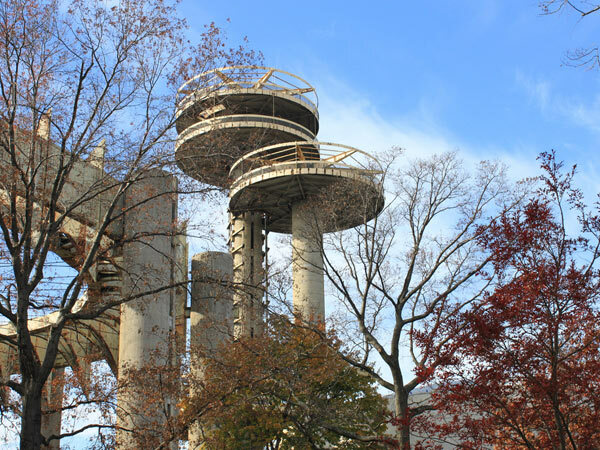 Parks Commissioner Robert Moses reclaimed the area for New York’s first World’s Fair in 1939. 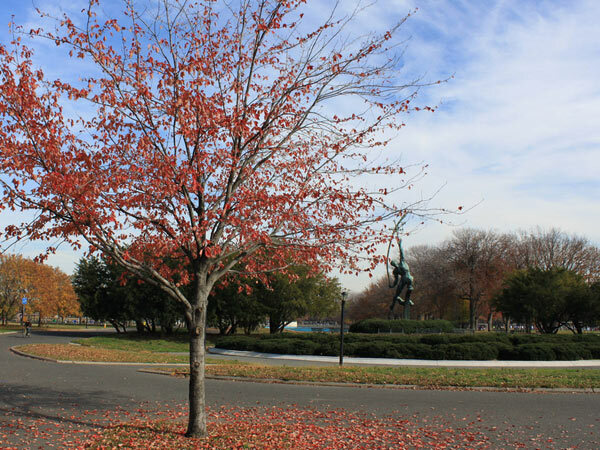 Landscape architects Clarke & Rapuano created a monumental Beaux-Arts campus in the center of the new exposition grounds, with two large lakes – Meadow and Willow – excavated to the south. 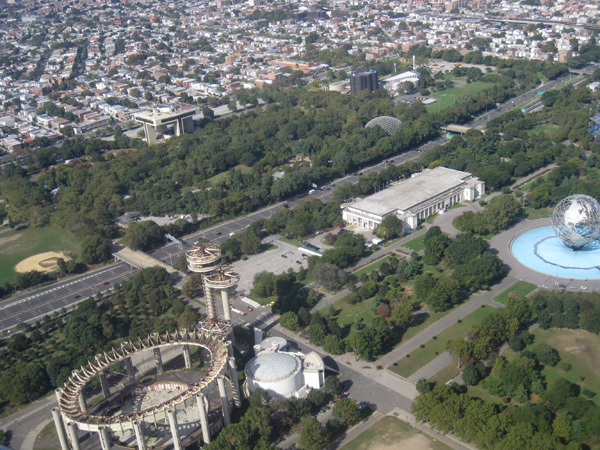 The dump’s ashes were incorporated in the paving composite for the three expressways which cut through the park and border it on the east and west. 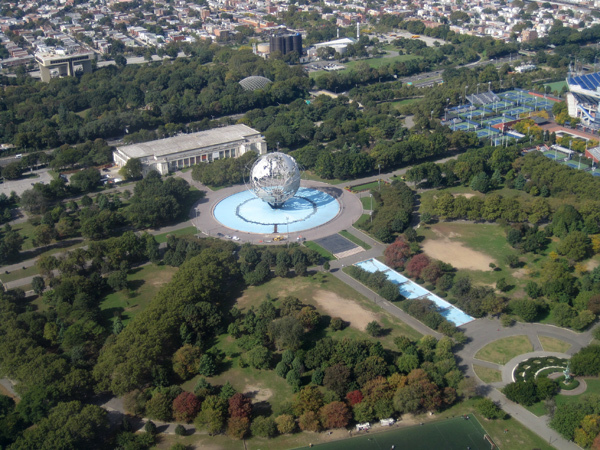 For the 1964-1965 exposition, new structures were layered into the old site, including two iconic elements which still remain – the Unisphere, set in the heart of the Beaux-Arts landscape, and the futuristic-looking New York State Pavilion, designed by architect Philip Johnson with landscape architects Zion & Breen Associates. 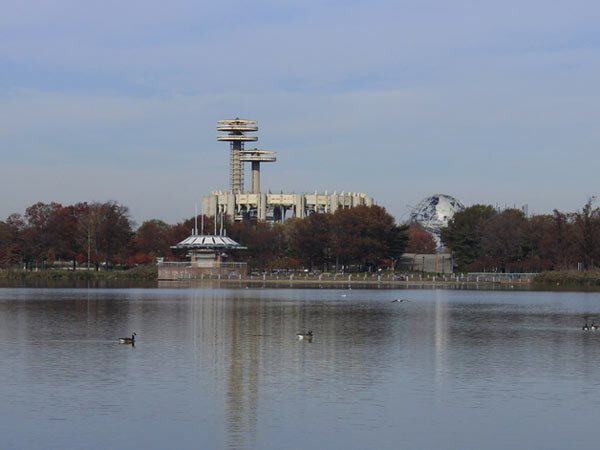 After the fair, the grounds were converted to a municipal park, which opened as Flushing Meadows Corona Park in 1967. The northern portion is developed with sports stadia and asphalt surface parking. 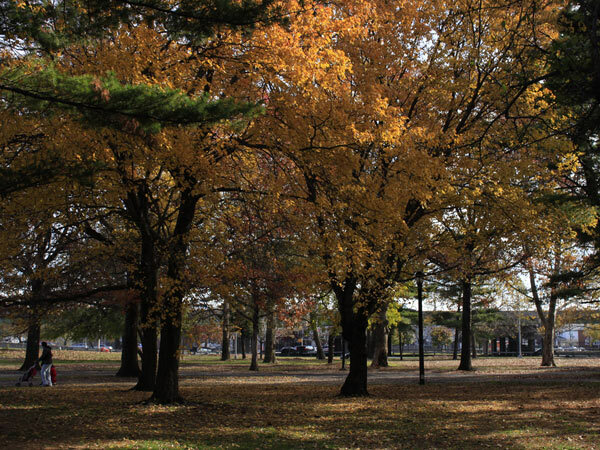 The naturalistic southern section includes marshes, a 96-acre wildflower meadow, and weeping willows, sedges and rushes surrounding Willow Lake. 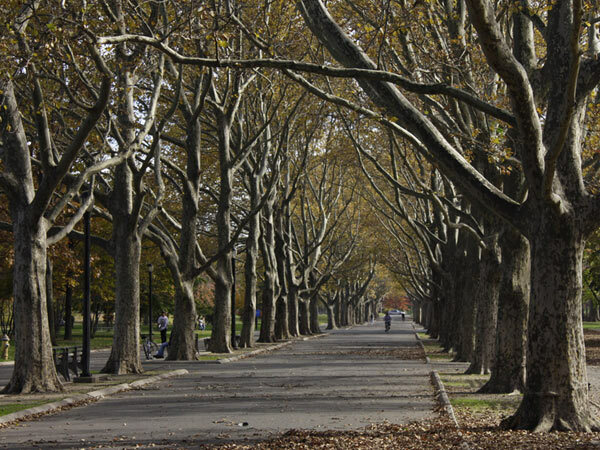 The Flushing Bay Promenade – a 1.4-mile walk with extensive seating and planting – was completed in the 2000s. 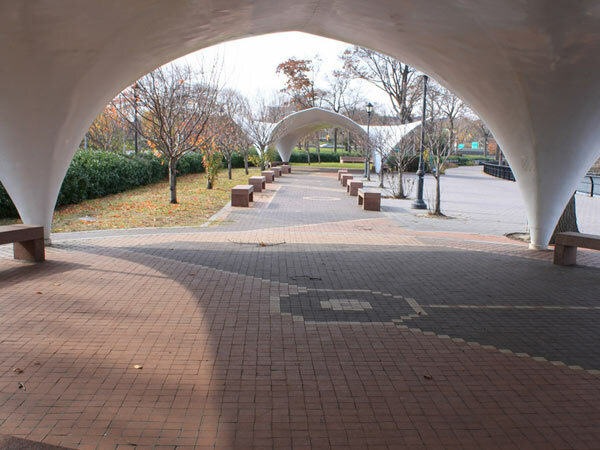 The park contains athletic fields, the Queens Zoo and Botanical Garden, museums, a marina, six playgrounds, and an amphitheater.